GEDmatch now connects to your WikiTree Global Family Tree! “GEDmatch now connects to your WikiTree (Global) family tree!” as the title to this post is a complete cut and paste of the title, along with some quotes, of Maggie’s post in the WikiTree G2G (WikiTree’s Genealogist to Genealogist Forum). Thank you Maggie for helping a Grandma out. Maggie’s post to G2G was pretty short and sweet. She found a “bunch” of new cousins at WikiTree using GEDmatch’s One to Many Tier 1 utility. GEDmatchTier 1 utilities are a paid subscription tool that provides deeper analytical tools for Genealogists. It's $10.00 a month. $10.00 that goes a long way toward helping our community have access to GEDmatch all the way around. It is money well spent and for a good cause. To use CeCe Moore’s metaphor, DNA for Genealogy is useful when you have your DNA in as many Gene Pools as you possibly can. If you have tested at Ancestry, 23andMe, Genographic Project, Family Tree DNA (or My Heritage via Family Tree DNA) or WeGene, you should post your results to as many places as possible for analysis and matches. GEDmatch has a pool filled with Genes from testers from all the testing companies. It may not be a complete pool from any one of the companies, but it is certainly a larger pool than having your results in just one of the pools (testing companies). Not to mention what you can do with you Data once it’s there. 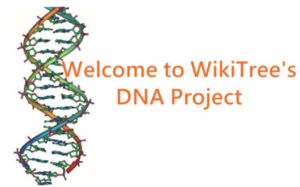 “We have been encouraging members to connect WikiTree IDs with GEDMatch IDs for a few years. When you enter a test, you can enter your GEDMatch ID. How “Fresh” is the information? Farm to table? Farm to Farmers Market? Farm to Supermarket? Pretty fresh considering how easy it is for this to happen. Pale Yellow – Private with Public Biography and Family Tree. This is the same as Private but anyone can view the biography and family tree. Pale Peach – Private with Public Family Tree. Same as Private but anyone can view the family tree. Other individuals in the tree can still be private. Green – Public. Anyone can view the full profile but only the Trusted List can edit it. The default for non-living people under 200 years old except when added as nuclear relatives of living people. Not an option for living people. These Privacy Levels insure that the profiles you manage can be seen by someone who finds you in GEDmatch’s Tier 1, One To Many Tool. If you have your privacy level any higher you won’t be able to share the WikiTree Profiles you Manage. I am already a Tier 1 member. But I re-upped this morning because of this. I also wonder how many of the 498 WikiTree Volunteer Genealogists who have seen the G2G post have also upgraded to Tier 1 and how many more will join GEDmatch. We WikiTree have proven to be pretty awesome when we get together to do something, like unintentionally slamming the Family Search servers during the Source-A-thon weekend. 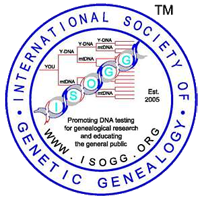 If enough of our WikiTreer’s join the GEDmatch Teir 1 will GEDmatch opt to make it free? “Peter humbly does not mention that he’s the reason this came together.